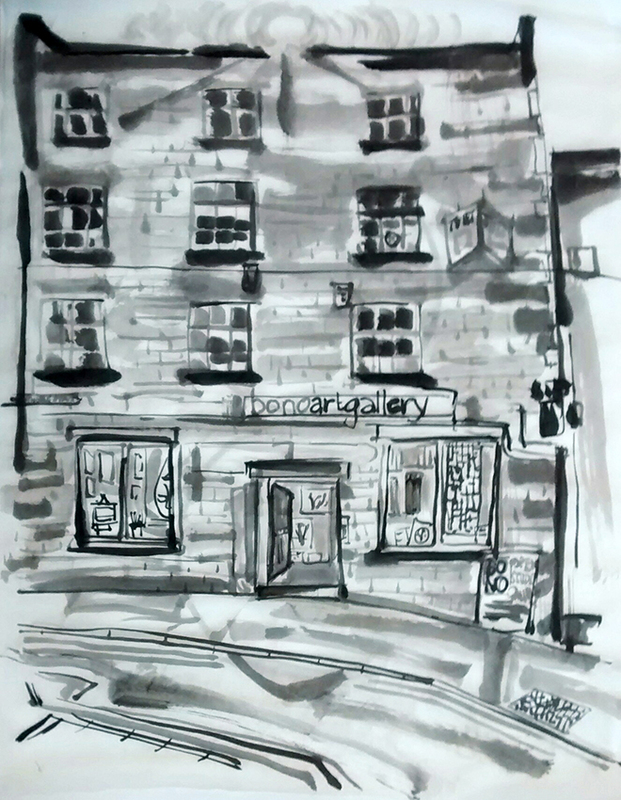 Today is the opening of a new exhibition of my paintings at Bono Art Gallery in Otley. This is my largest show to date – 60 paintings – and I urge everyone who is able to come and see it. Bono Art Gallery is closing these premises at the end of the month. A new location is hopefully just around the corner. You are invited to come to this last preview – and visit in the next week – to show your support and thanks to Roberto Bono for all the great art that has passed through Otley in the last two years. This entry was posted in exhibition, painting and tagged Bono Art Gallery, Otley by Jo Dunn. Bookmark the permalink. It looks like a great show. I do love your work! All the best for your show, 60 works is huge! Lovely review as well. Thank you Leonie, it’s gone well and we all had a good time at the preview. Good luck Jo. Hope it’s a great success.